© Shandhika Chatoor. All rights reserved. Hungry Elk eating away on the side of the road after a storm hence the double rainbow in the back ground. 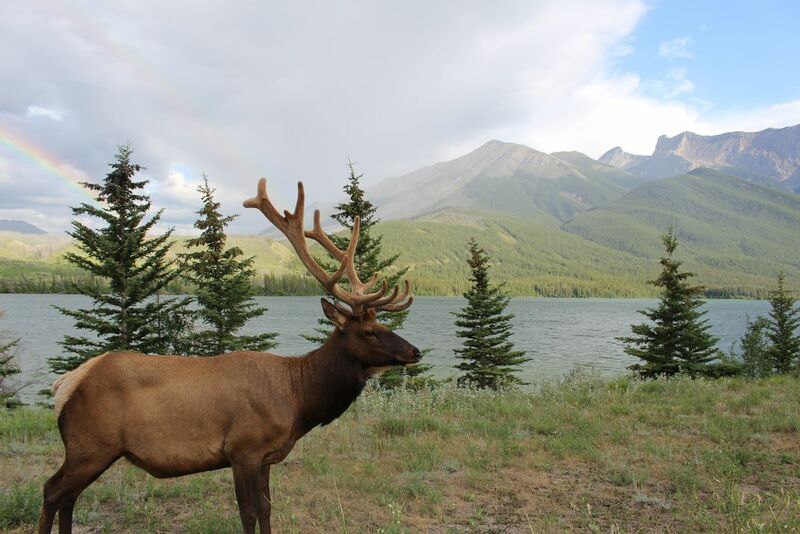 This beautiful picture is set in Canadian Rockies at Jasper nation park. Date Uploaded: May 9, 2016, 7:37 a.m.